Chris Paul’s seventh signature shoe with Jordan Brand is expected to make noise as well as it was released as part of the 2014 All-Star Crescent City Collection that recently hit shelves. 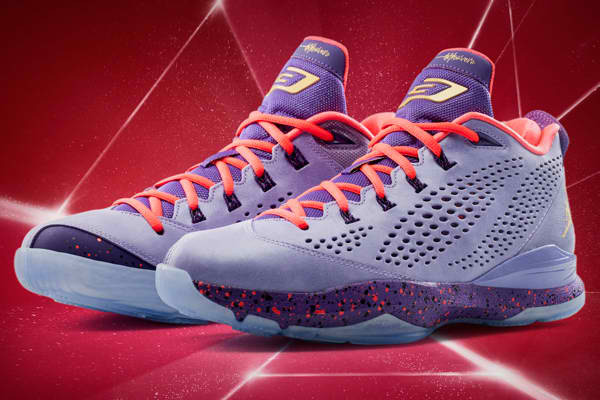 The Jordan CP3.VII “All-Star” should be on top of your list if you are looking for a new sneaker this year. This shoe features an atomic violet upper part with speckled court purple midsole and tongue. It also sports a translucent blue outsole, infrared laces and lining, and gold Jumpman branding. This edition, listed as the Atomic Violet/Metallic Gold-Infrared 23-Court Purple colorway of the shoe, is available for $125 per pair.